The boys completed another grueling session, as preparations ramp up for the season opener. Ben Silvagni will don the No.37 jumper in 2019: a number previously worn by a famous Carlton name. Ben Silvagni showed his ability to take a game by the scruff of its neck, with 23 disposals and 10 marks in a single game in the TAC Cup. However, it was his form down back for Vic Metro which was equally impressive and displayed his versatility. It will be a special moment when he pulls on the navy blue for the first time. 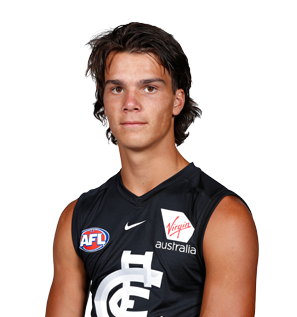 Draft history: 2018 NAB AFL Draft 4th round father-son selection (Carlton) No.70 overall.